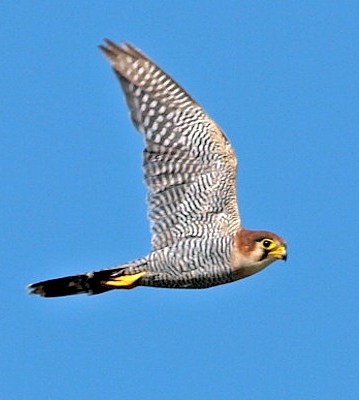 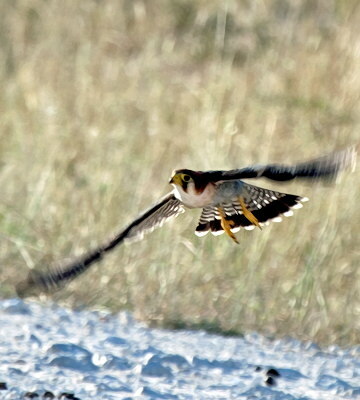 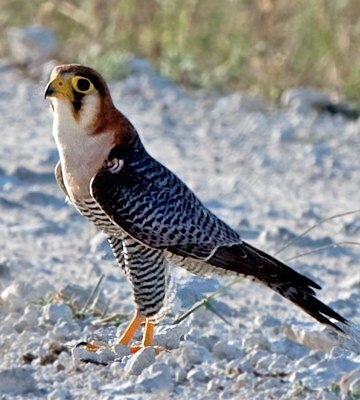 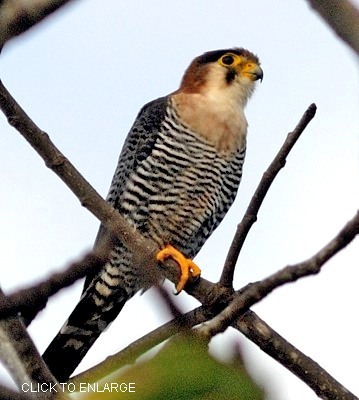 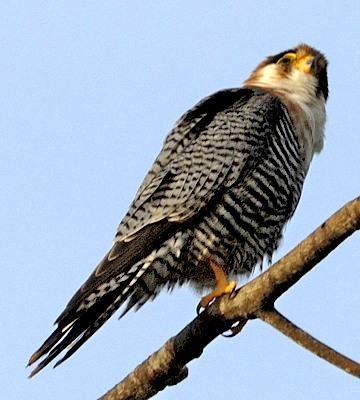 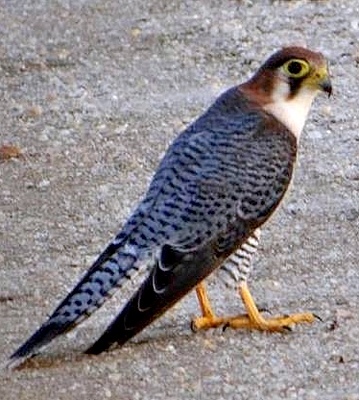 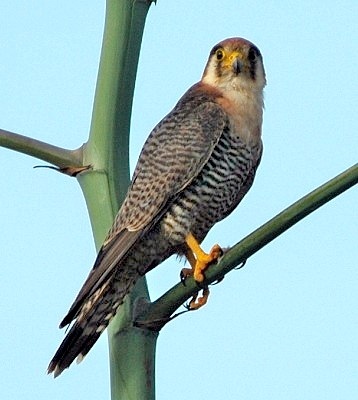 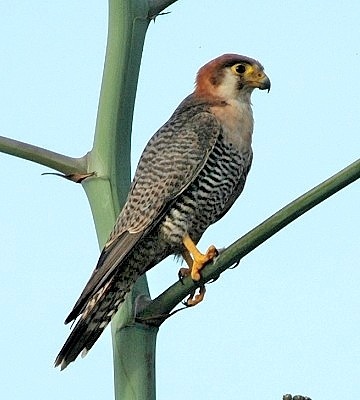 The red-necked falcon is a long-tailed falcon: note that the wing-tips are considerably shorter than the tail. 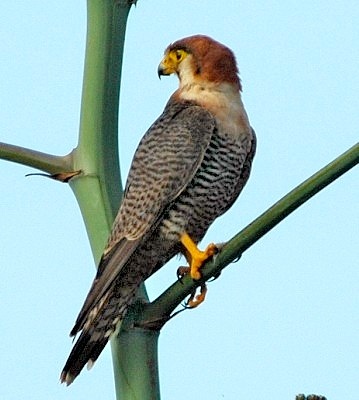 The upper two photos were taken in Ruaha and Piaya, courtesy of Paul Oliver. 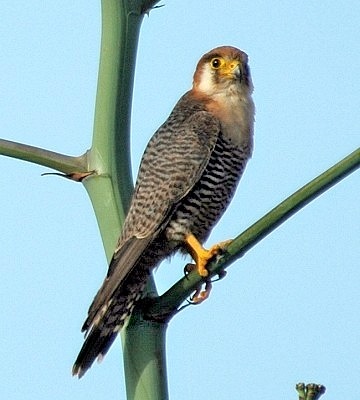 The other photos were taken in Pembe Abwe (rows 3 & 4, 11-06; row 5, 1-12) and Tarangire (row 5, 1-08). 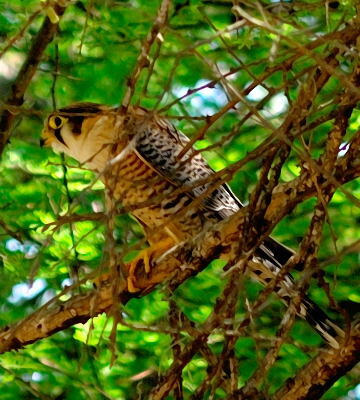 The right 6th row bird was seen in Tarangire (1-08); the left, in Katavi, courtesy of Silas Olofson, and the 6th row adult, in Saadani NP, courtesy of Tembo Kijani Lodge staff. 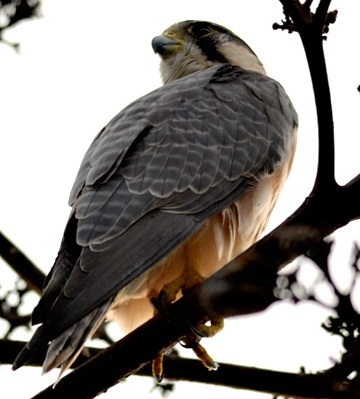 The bottom photos were taken in Selous, courtesy of Dominic Oldridge.